Send a “Nuts Care Package” to our Gibbons! 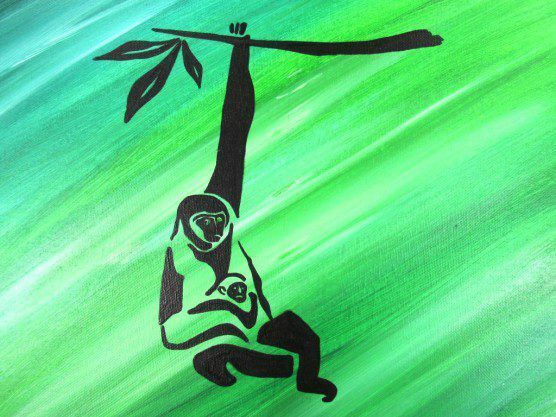 IPPL supporters got in touch with their artistic side last Friday at a creative fundraiser that also honored our adorable gibbons. 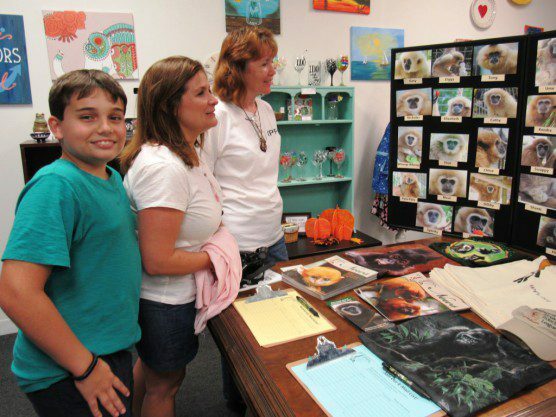 The Art Place is a new do-it-yourself studio in the Charleston area that is also open for charity events. 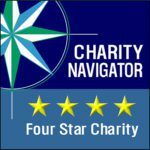 The owner, Vanessa Steele, kindly offered to donate proceeds from the entire day’s worth of projects to IPPL. In fact, spouses of Boeing employees had their own time earlier in the day to do projects alongside their children. Visitors to the bright and spacious locale could paint gibbons on ceramics and wineglasses during the day. 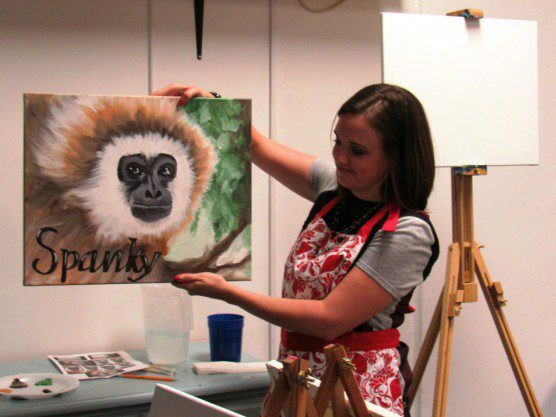 But the main event was at 7:00 PM, when a local artist named Kira Tallerico guided participants in a step by step process toward completing their own portraits of one of IPPL’s gibbons. 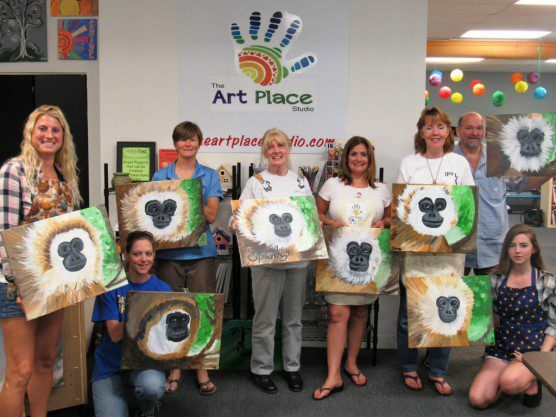 The evening was a lovely reprise of Painting for Primates I (held on Monkey Day 2013), when handsome Gary was our model. Could this be a trend? Can’t you just see it?  IPPL’s 36 sanctuary residents would make for an amazing gibbon gallery! “We had a great time!” said event organizer Tina McCoy, whose young daughter is already quite a budding artist. IPPL senior animal caregiver Meg McCue-Jones agreed—but maybe she’s a bit biased in favor such events, since she already has a good deal experience with them. “At my house I have a whole wall full of paintings that I’ve made!” she says proudly. Those with less experience might feel a bit daunted. 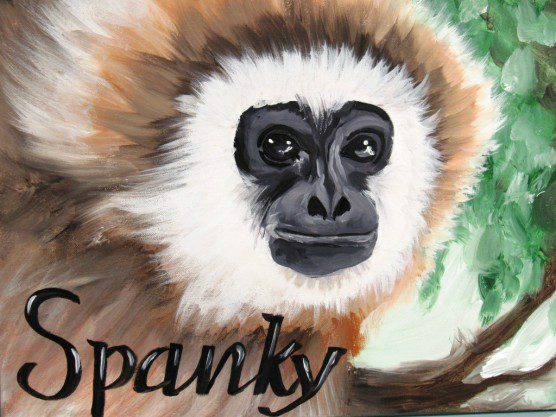 But with our beautiful gibbon Spanky as a model, who could go wrong? Website Design: Red Earth Design Inc.